Bakers Shoes has been selling shoes for 20 years and can be found opposite the National Bank in 8 Kitchener Rd as you enter the heritage town of Waiuku. One of the largest independent shoe shops in the country, we pride ourselves on country-town friendliness with great service and value for money. 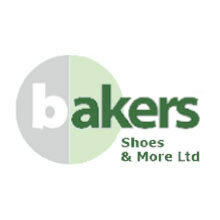 Ladies particularly love the variety of styles on offer – because Bakers Shoes & More is an independent, we choose our own brands and styles, you won’t see them in the national chains.